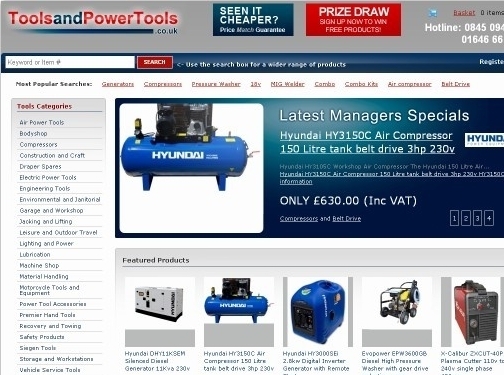 Take a look at our website - www.toolsandpowertools.co.uk, we have over 10,000 tools available at rock bottom prices. Join our mailing list to receive updates of the latest offers and be entered into our monthly prize draw. We are the main UK importer for Hyundai Power products and main dealers for Sealey, Fiac, Weldstar, Cebora, Mosa and Evopower.